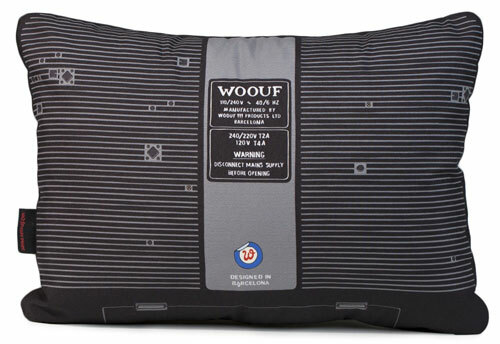 The name Woouf has appeared on these pages many times, which is perhaps because we love their quirky designs so much. What hasn’t appeared so far is the Wooufbox. 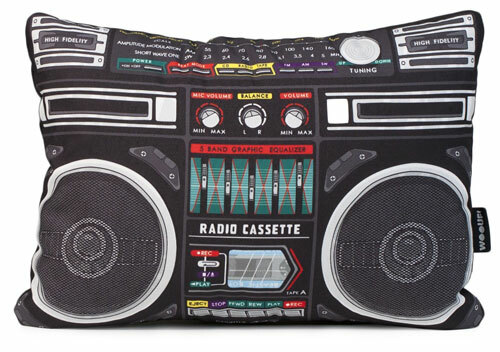 Yes, this is a 1980s-inspired cushion, based on the huge boomboxes that were often seen in houses and especially on street corners, pumping out grooves for dancers, especially those devoted to the early hip hop scene. This one is obviously without the music, but it does add a retro slant to your living room (or any room) and a talking point when guests pop round. It is sized at 45 x 15 x 30cm and sells for £25.17.